Weather is usually the driving force behind the fishing bite and rarely do you see changes as dramatic as we have seen this past week. Winter ended and Summer began this week with bright sunshine, calm winds, and highs in the 80s. Lake surface temperatures skyrocketed and the fish were on the move. It was an extremely shallow water bite with most fish caught in less than 10 ft. of water and many in less than 3 ft. 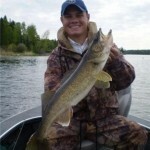 The predominant walleye pattern was a pitch bite. 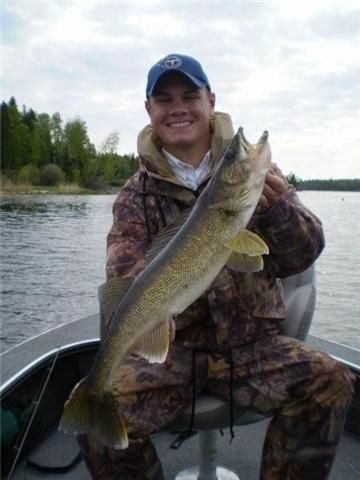 If you had a “puff” of wind to blow pine pollen into a shallow water inside bend, you were sure to find hungry walleyes. Most guides chose to cast jig and plastics or Jig and Gulp combos to warm water shorelines to turn active walleyes. 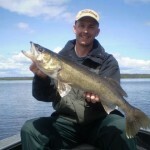 We also caught lots of walleyes far back in the warm water bays that we typically fish in early spring on Husky jerks. Usually these fish disperse much earlier in the season, but the quick change in weather resulted in a large group of fish that were still far back that were willing to hit aggressive presentations. Husky Jerks were most effective in the shallow stumpy bays, but you could also find pockets and holes to turn additional fish on Jigs. 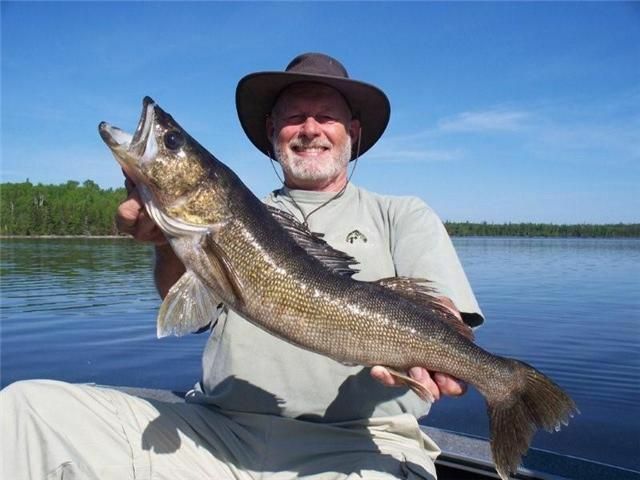 During an active shallow water bite, we often locate groups of walleyes with aggressive presentations and then double back one level deeper and one level slower to pick up the bigger fish. We were able to find a few nice fish in 10 – 15 ft., but more nice fish were caught shallow this week pitching plastics and Gulp Alive minnows into very shallow water. Volume for the week was good with an average of 35 walleyes over 18 in. per boat per day. The highest daily total was 78. 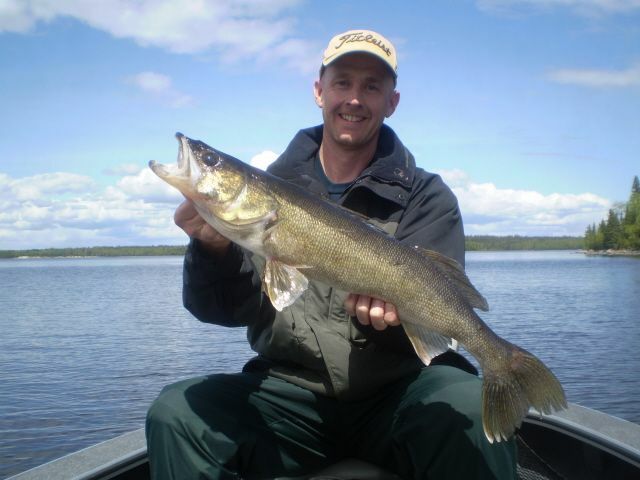 For the week we had 20 walleyes over 27 in., including 3 – 28s. Top end walleye numbers were good, but may have been cut into by the amount of time spent on the hot bass and pike bite. The bright sunshine packed baitfish into the top of the water column and the bass and pike turned on just like the walleyes. 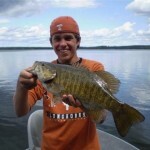 Smallmouth action went from 0 – 60 in a day. The numbers speak for themselves. 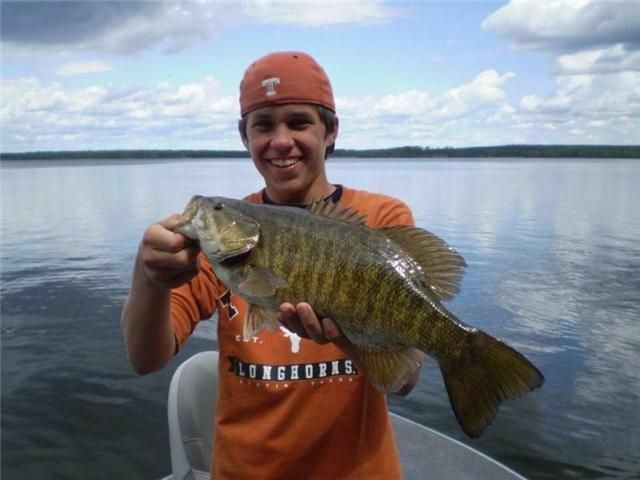 For the week we had 178 bass over 17 in., including 38 – 18s, 6 – 19s, and 1 – 20. Preferences shifted from day to day, but plastics, small rattle traps, top water, spinnerbaits, and small crank baits all produced great bass. I will predict that this week coming up will be even better. 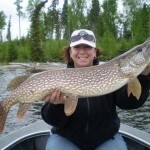 The instant hot shallow water also put the big pike into high gear this week. 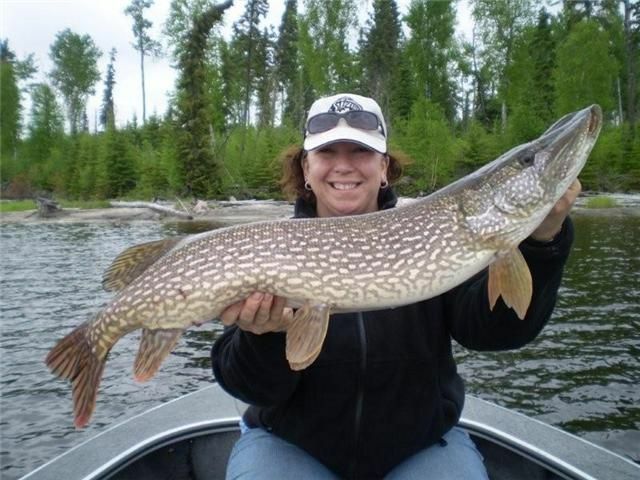 We had several groups targeting big pike successfully, with 16 over 37 in., including 2 – 39s, 3 – 40s, and 2 – 41s. Husky jerks and shallow diving cranks turned the most big fish, but there were also several big fish caught on spoons and big plastics on jigs. 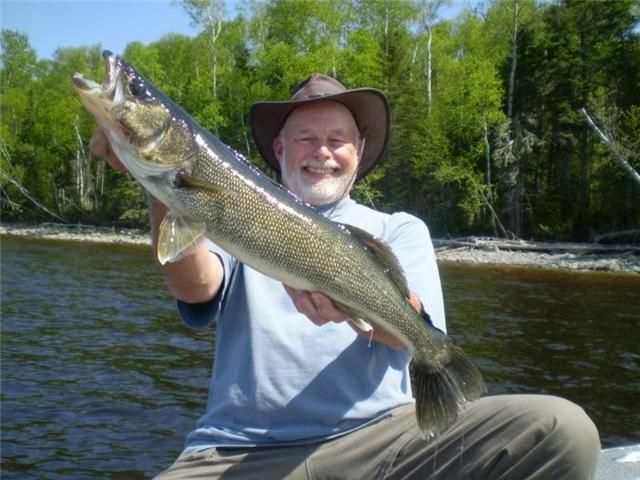 It was a great week to fish on Lac Seul and it was amazing to see how quickly the bite could change from slow and tepid to fast and furious for all 3 species. As a guide, it truly was difficult to decide which species to target. 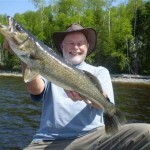 The Kicker: “It was really a nice spring on Lac Seul this year…. Both days!” …. SWWL Guide.